Alta Mesa was engaged in the acquisition, exploration, development, and production of oil and gas properties in Oklahoma, Texas, Louisiana, and Florida. Denham was a partner with Alta Resources, an oil and gas exploration and production company focused on the Marcellus Shale in NE Pennsylvania. Denham partnered with Alta to facilitate the expansion of the Company’s extensive lease position to ~48,500 gross acres and to commence drilling and operations. Denham exited this investment in 2010. Atlantic Resources is an exploration and production company headquartered in Midland, Texas focused on pursing upstream oil and gas opportunities in the Permian Basin. Auctus Minerals is a Perth-based company focused on developing promising projects into production and improving the economics of operational mining assets throughout Australia. It targets opportunistic projects that are either near production or development-ready. Bradford Minerals is focused on the acquisition of royalty and mineral interests in the Delaware Basin. Bright Horizon Resources is an oil and gas exploration and production company primarily focused on the Mid-Continent and ArkLaTex regions. Denham exited this investment in 2016. C&C Energia was an oil and gas exploration and production company primarily focused on Colombia. The company’s strategy was to develop producing oil and gas assets by exploring low to moderate risk areas. Denham exited this investment in 2012. Cadre provided quality proppant to serve the needs of the Oil & Gas industry. Cadre’s state-of-the-science facility in Voca, Texas produced API spec frac sand for use in the completion of conventional and unconventional wells. Clear Creek Resource Partners is an exploration and production company focused on the leasing, acquisition and development of upstream opportunities in the DJ Basin. COG Energy Ltd. (COG) is an exploration and production company focused on opportunities in the Llanos Basin of Colombia. COG is led by Tomas Villamil, who previously founded C&C Energia and served as CEO of Platino Energy. Denham exited this investment in 2017. Cook Inlet Energy Supply was a natural gas marketing company active in both the physical and financial markets in North America, Canada and Mexico. Denham exited this investment in 2005. Covey Park Energy (CPE) is a private oil and gas exploration and production company headquartered in Dallas, Texas. CPE is primarily focused on the acquisition and exploitation of long-life reserves in the Ark-La-Tex, Permian and Mid-Continent regions. 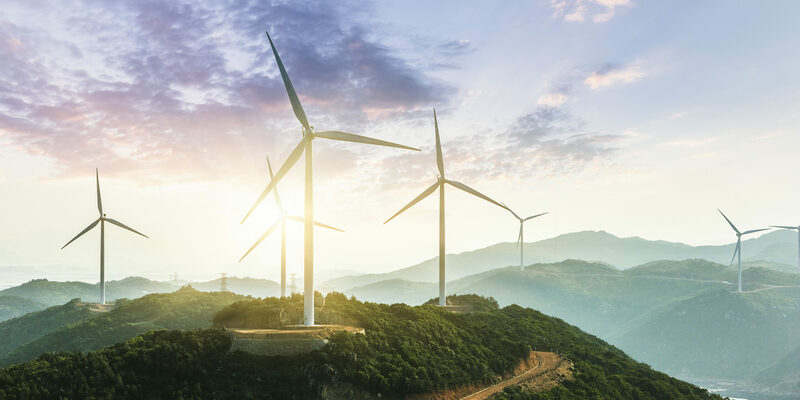 Energy Transfer Equity, L.P. is a publicly traded master limited partnership that holds interests in a diversified portfolio of assets, including natural gas, transportation, treatment, and processing facilities located in Texas, Louisiana, Utah, and Colorado. The company also has three natural gas storage facilities and retail propane operations located in Texas. Denham exited this investment in 2006. Freebird SHA developed an expansion to a depleted reservoir gas storage facility located in northwest Alabama. The project included the drilling of new wells, the lateral addition of compression, and the construction of both a pipeline to and an interconnect with the Tennessee Gas Pipeline, and was completed in the third quarter of 2007. Denham exited this investment in 2007. Fairway Resources III is repeat upstream oil and gas company focused on the acquisition and exploitation of long-life reserves in the Mid-Continent Region of Texas and Oklahoma. Galveston LNG was a privately owned Canadian energy development company that provided a synergistic approach to originating, trading, storing, liquefying, and exporting of LNG for proprietary projects and for third parties worldwide. The company was developing an LNG liquefaction export facility at Kitimat, British Columbia. Greene’s Energy Group is an oilfield services company focused on the completions and production markets in South Texas, West Texas and New Mexico and also has certain divisions in Louisiana. The company provides well testing, flowback and frac support services including wellhead protection. In Texas, Greene’s is the market leader in wellhead protection services and a top 3 provider of well testing services. Gulf Atlantic Operations owned and operated a set of oil and oil products storage terminals and an associated heavy crude oil refinery located along the Chickasaw River near Mobile, Alabama. Harrier Oil is an exploration and production company focused on light oil opportunities in Colombia. The company is led by Tomas Villamil, who previously founded COG Energy and C&C Energia and served as CEO of Platino Energy. Tomas is joined by the former CFO of COG Energy, Rafi Khouri. Horizon Resources is focused on the acquisition of royalty, mineral and non-operated working interests in the Denver Basin. 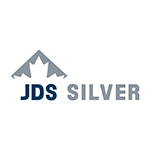 JDS Silver, led by accomplished Canadian mining entrepreneur, Jeff Stibbard, targets base and precious metals projects that may be quickly brought into production in northern and western Canada. Live Oak Resource Partners is focused on the acquisition of oil and natural gas royalty and mineral interests. LOLA Energy is a Pittsburgh-based exploration and production company focused on leasing, acquisition, and development opportunities in the Marcellus and Utica plays of Appalachia. MEG Energy Corp. was a publicly-listed Canadian oil sands company focused on the development and production of the oil sands region of Alberta, Canada. Mining Ventures Brasil is engaged in the identification and exploration of highly prospective mining areas in Brazil. The company is currently focused on development of its heavy rare earths project in Brazil. MS Energy Services provides directional and horizontal drilling services, down-hole surveying, measurement while drilling (“MWD”) services, down-hole motors, and steering tool services. The company operates in most major onshore oil and gas basins in the U.S. and its customers include large U.S. independent exploration and production companies. NGL Energy Partners LP, a publicly traded company, was formed in October 2010 by the merger of Hicksgas and NGL Supply. The Partnership owns and operates a vertically integrated energy business with three operating segments: midstream, wholesale supply and marketing, and retail propane. Denham exited this investment in 2013. Outrigger Energy is a private, full service midstream energy company specializing in greenfield project development with a current focus in liquid-rich natural gas and crude oil basins in the Permian Basin of West Texas, the Rockies, and Mid-Continent areas. Pangea Exploration targets resources throughout Africa and is engaged in the acquisition of mining assets across all stages of the project life cycle. Pembroke Resources is an Australia-based company focused on the acquisition and development of a portfolio of high quality, metallurgical coal assets in the Asia-Pacific region. Platino was an oil and gas exploration and production company primarily focused on Colombia. The company’s strategy was to develop producing oil and gas assets by exploring low to moderate risk areas. Denham exited this investment in 2015. Rockies Resources is an exploration and production company focused on the leasing, acquisition and development of upstream opportunities in the Powder River Basin. S&A Resources is an exploration and production company focused on the leasing, acquisition and development of upstream opportunities in the Eagle Ford Shale in South Texas. Denham exited this investment in 2018. Santiago Metals targets mining and exploration projects in Chile. Santonia Energy (formerly Fairborne Energy) is a publicly traded oil and gas exploration and production company operating primarily in Alberta and Western Canada. Sierra Resources is a privately-held, Houston-based independent exploration and production company focused on the development of oil and gas reserves, specifically the Utica Shale of eastern Ohio. Spire HoldCo ( “Spire”) is a midstream development company focused on developing infrastructure to solve complex problems in Western Canada. Spire has a project in Kitimat, British Columbia called Pacific Traverse Energy (“PTE”) that is developing a greenfield propane export terminal. Starboard Permian, LLC is an exploration and production company pursuing acquisition and development opportunities in the Permian Basin. Stellar Mining targets mining and exploration projects in Peru. Tall City Exploration LLC was an oil and gas exploration and production company primarily focused on the Permian Basin. Tall City Exploration II LLC is an oil and gas exploration and production company primarily focused on the pursuit of acquisitions and the development of upstream assets in the Permian Basin. Trinity was a coal producer in the Central Appalachian coal basin, operating a variety of surface and underground mines in southern West Virginia and eastern Kentucky. Trinity sold both steam and metallurgical coal to electric utilities, steel manufacturers, coal brokers and other buyers primarily in the eastern United States. Tundra Oil & Gas is an exploration and production company headquartered in The Woodlands, Texas focused on low-risk acquire and exploit opportunities in the Gulf-Coast region. Upper Wilgat owned and operated coal mines and ancillary facilities in Northern Appalachia and the Illinois Basin. The company operated a longwall mining complex in Illinois, and had one operating mine and one mine under development in the Northern Appalachian Basin. Ursa Resources Group II is an oil and gas exploration and production company primarily focused on the Piceance Basin in Colorado. Ursa Resources Group was an oil and gas exploration and production company focused on the Bakken Shale play in the Williston Basin of North Dakota and Montana. WhiteWater Midstream is a midstream oil and gas company focused on building traditional gathering and processing infrastructure for upstream companies in areas lacking infrastructure.